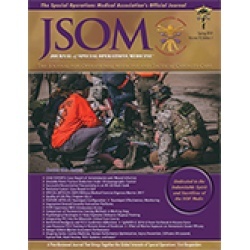 Background: This report describes a rapid method of vision correction used by Special Operations Medics in multiple operational engagements. Methods: Between 2011 and 2015, Special Operations Medics used an algorithm- driven refraction technique. A standard block of instruction was provided to the medics, along with a packaged kit. The technique was used in multiple operational engagements with host nation military and civilians. Data collected for program evaluation were later analyzed to assess the utility of the technique. Results: Glasses were distributed to 230 patients with complaints of either decreased distance or near (reading). Most patients (84%) with distance complaints achieved corrected binocular vision of 20/40 or better, and 97% of patients with near-vision complaints achieved corrected near-binocular vision of 20/40 or better. There was no statistically significant difference between the percentages of patients achieving 20/40 when medics used the technique under direct supervision versus independent use. Conclusion: A basic refraction technique using a designed kit allows for meaningful improvement in distance and/or near vision at austere locations. Special Operations Medics can leverage this approach after specific training with minimal time commitment. It can serve as a rapid, effective intervention with multiple applications in diverse operational environments.